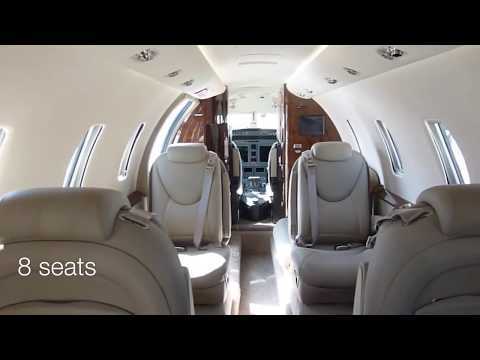 Cessna launched the Citation Excel in 1998, the first in the series and, over the following ten years a large number of performance-enhancing and cabin upgrades culminated in the delivery of firstly the XLS and then, most recently, the XLS+ in 2008. The Citation XLS+ offers the greatest range of any of the Excel series of Super Light aircraft, capable of over 3500km of uninterrupted flight. It also features an extremely spacious cabin which easily caters for up to 8 passengers in 6 individual seats and an additional two-seater sofa at the front. The XLS+ also travels at high speed and is certified to land on shorter airfields, inaccessible to larger aircraft and often closer to your final destination. Efficient, comfortable and direct; the Cessna's latest model of the Excel series is ideal for short-haul journeys, and is a particular favourite for intra-European flights for business trips or weekend getaways.